Researchers from Charité’s Institute of Medical Physics and Biophysics were able to shed light on the structural transformations taking place. 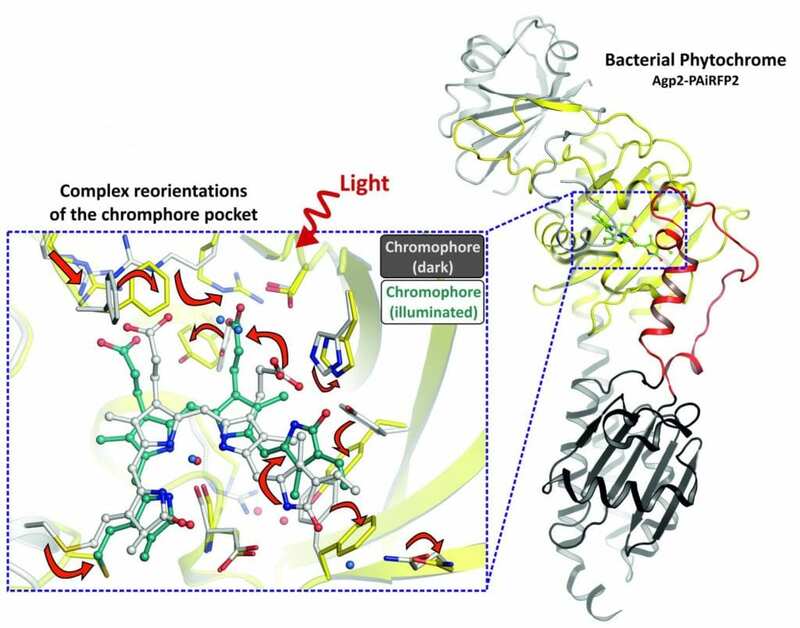 The researchers used X-ray crystallography to determine the 3D structure of a dark-adapted phytochrome photoreceptor and went on to compare this structure with its light-adapted state. To do this, the researchers started by creating a crystalline form of the protein, which they then irradiated with X-rays. By protein structural analysis the researchers were able to calculate the position of atoms inside the molecule. Results of their work show the contribution of individual amino acids in the light-induced activation and deactivation of these proteins. “Our research has delivered fundamental structural data, which will enhance our understanding of the way how environmental signals are transmitted into an organism. These are important insights, particularly if we hope to be in a position to use photoreceptors for future clinical applications,” explains the study’s lead researcher, Dr. Patrick Scheerer.